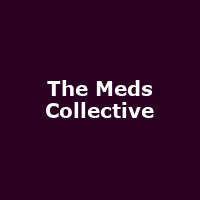 The Meds Collective are a dynamic London-based music group who consist of singer Paul-Lee and rappers Hi Breed and Mark Anthony. They have written and produced all their songs, performed in more than 15 cities around England, released a debut album called 'Heartbreaks and Remedies' and more recently, an EP called 'Change'. The album features musical styles that incorporate Hip-Hop, R&B, Hard-edged Pop, Jazz, Rap, Funky House and Nu-Soul influences.